Grew up with FMP Zeleznik (Serbia) youth teams. Signed for the 2010-11 season by Mega Vizura. Moved to Serbia, signed by Crvena Zvezda Belgrade for the remainder of the 2015-16 season. Moved to Turkey for the 2016-17 season, signed by Tofas Bursa. Moved to Lithuania for the 2017-18 season, signed by BC Zalgiris Kaunas. Moved to Turkey for the 2018-19 season, signed by Anadolu Efes Istanbul. 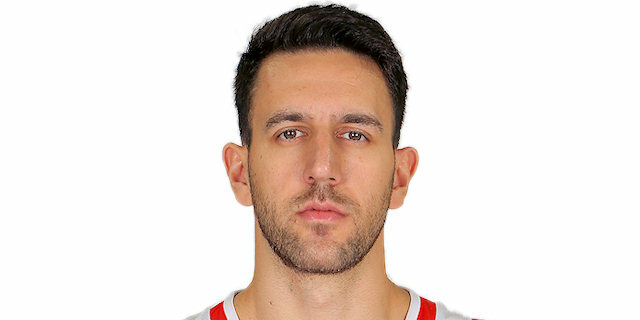 Named 2018-19 EuroLeague November MVP. Named 2018-19 Playoffs Game 1 MVP. Won the 2017-18 Lithuanian National Championship with BC Zalgiris Kaunas. Has been member of the Serbian U-16, U-18 and U-19 National Team. Won the silver medal at the 2011 European U-18 Championship.